The Cub Scout Uniform Polo Shirt is worn beneath the cub scout unifom sweatshirt. It has contrast purple trims on the collar, cuffs and placquet and the embroidered Cubs logo on the chest. The styling is a three buttoned pique Polo shirt with ribbed collar and cuffs. 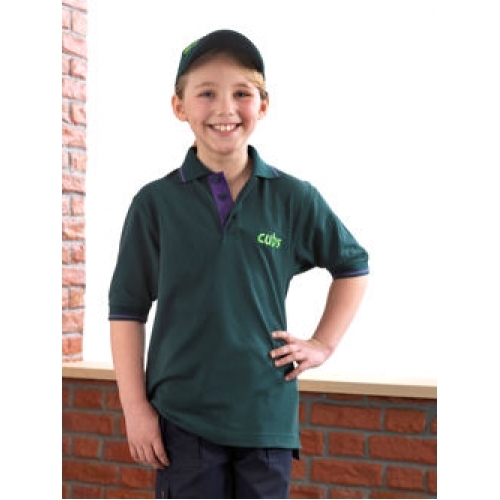 Made in functional easy care, hard wearing polyester cotton.